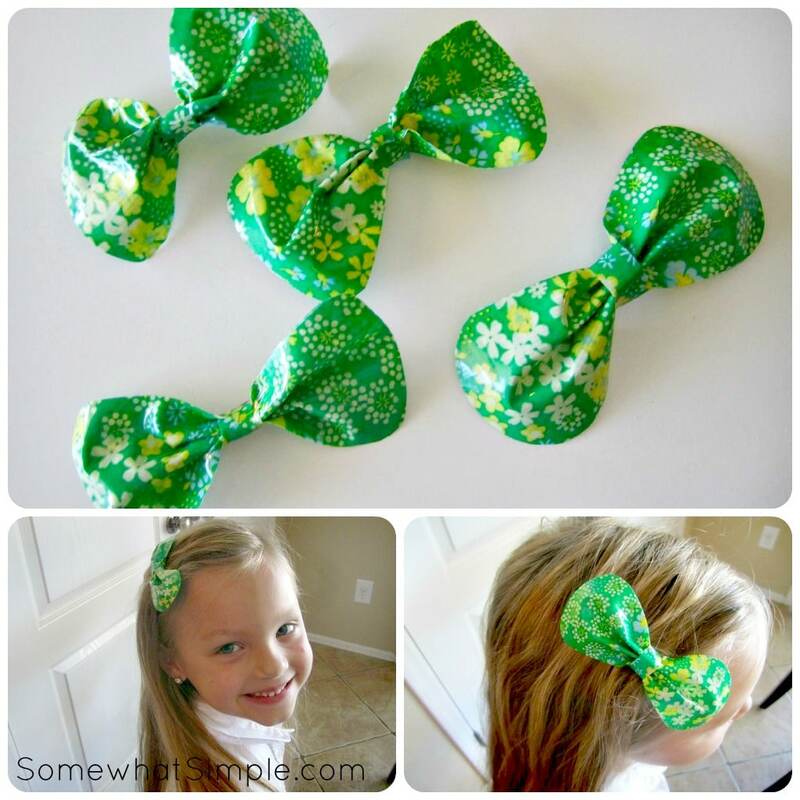 Creating simple hair bows for your little girl doesn’t get any easier than this! 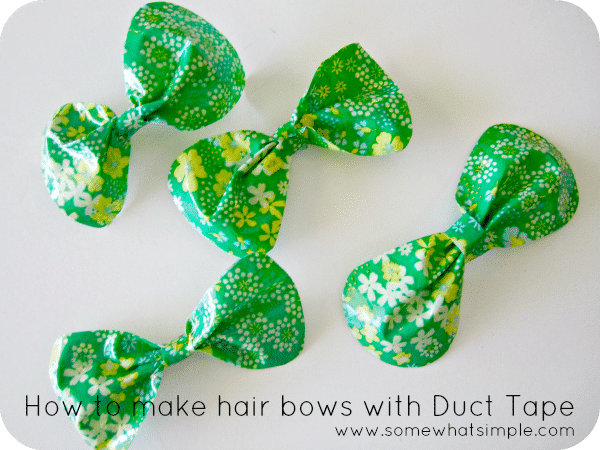 Today I am going to show you how to make a basic hair bow using Duct Tape! 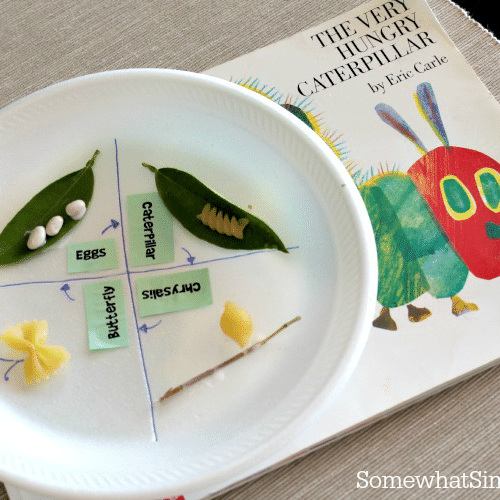 You’ll be amazed at how easy this is! Would you believe this idea was actually thought up by my father-in-law? One day my daughter came home with a package waiting for her- inside the envelope were 2 sweet hair bows with a thoughtful note from her grandpa, who lives out of state. In talking with my other sister-in-laws, he actually mailed each of his 8 granddaughters identical packages- how sweet of him! 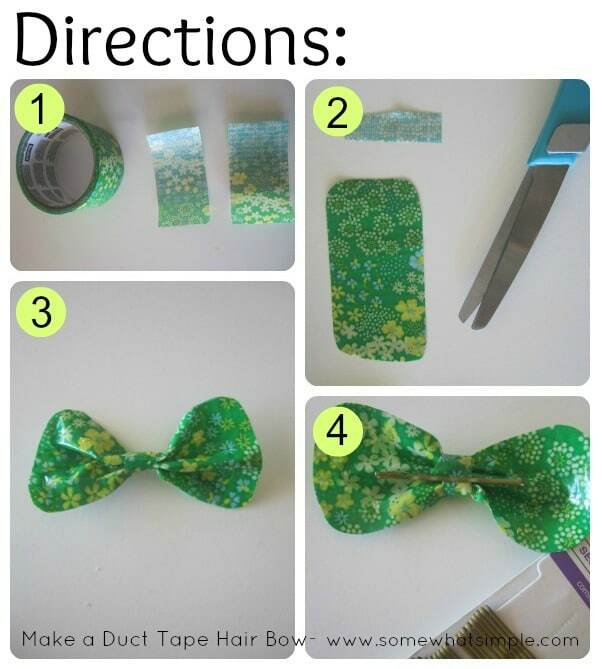 Duct Tape, Scissors, Bobby Pins- that is it! Mount the strips on top of each other, sticky sides together. You can round the edges if you’d like by trimming off the corners. Cut a small strip of Duct Tape for the center of the bow. Pinch the center of each side of the tape to meet in the middle and then wrap your small strip of tape around it to secure it. Slip a Bobby Pin through the center strip on the backside of your bow and you’re finished! I put together a short video of the process- click HERE to view it. Simple and cute! 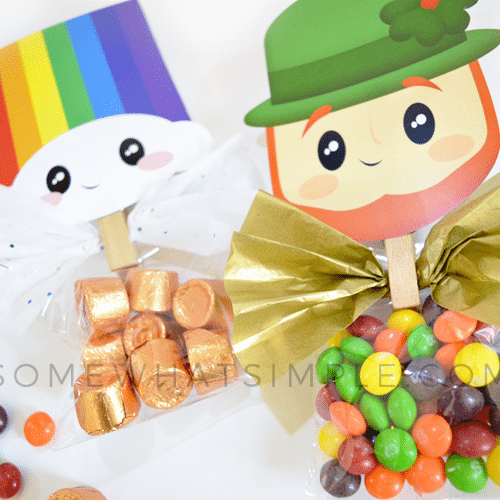 You can make a dozen of these in 10 minutes! This would be really fun to let the girls do at a slumber party with different kids of duct tape! LOVE THIS! 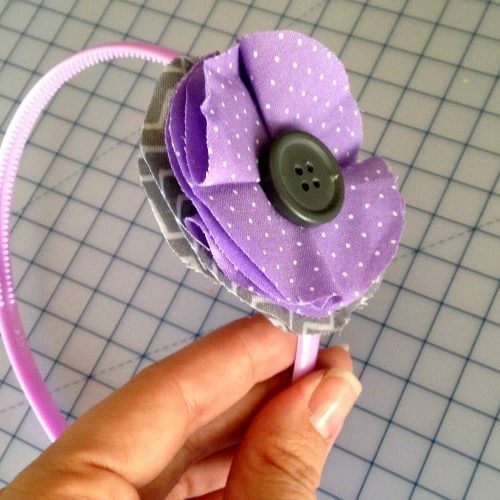 Simple enough that my daughter could help make (and I wont mess up on) and cute enough to add to her wardrobe!